his own life," The News reported. Estacada High School students were preparing for their spring concert. The program would include music from the Boy's Glee Club, Girls Glee Club, Advanced Choir and Advanced Band. Admission to the program was 75 cents for adults and 50 cents for students. At the Estacada Sentry, fresh turkeys were 59 cents a pound and corned beef was $1.36 a pound. Local girl scouts were preparing to sell cookies. Revenue from the sales went to maintaining campsites and community service projects throughout the region, and scouts would sell cookies door-to-door as wall as at Thriftway stores. The Estacada Grade School PTA was hosting their third annual family dance fundraiser, featuring the band High Desert Surf. 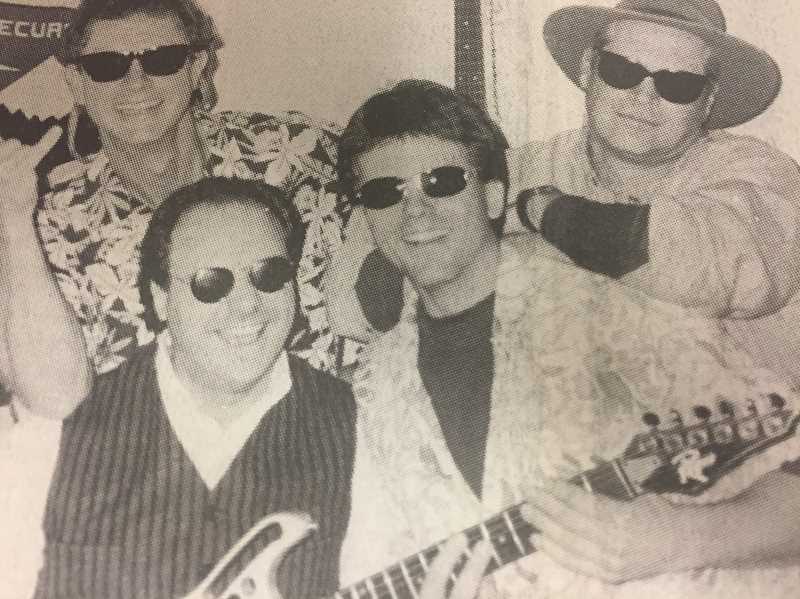 The musical group consisted of Blaine Moody, Johnny Lee Kyllo, Chris Kouba and Ray Misley. Moody and Misley were native Estacadans. Mackenzie Gripple, a sixth-grade Estacada student and member of the girls basketball team, wrote a letter to the editor after a game with Molalla in which the other team's coach was ejected for poor behavior. "Coach Larsen was loud, obnoxious and using foul language and was given warnings to settle down and let the game continue, but even after being ejected and with 1 second on the clock he called time out and ran onto the court after the ref," she wrote. "Our coach Mr. Olds tried to break it up and was shoved. . .It was a scary experience!" ever they visit, and the store also donates books to events like the city's Summer Celebration and family night at Clackamas River Elementary School.